Hi! 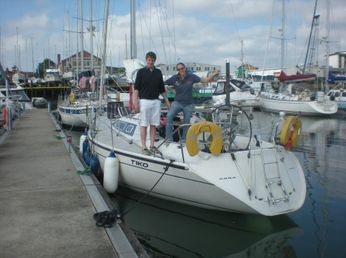 this is a blog to document our first big adventure on Tiko, our Dehler 34. Some of you may know but for those that don't, we (Myself(Lyns), Aleks & our springer spaniel Ellie) quit dry land for over 3 months to travel around Ireland. Aleks & I got married back in November and our big plan was to have an extended honeymoon to involve sailing off on an adventure. We had no concrete plans as such other than to get to the Isle of Man TT at the end of May so we loosely aimed for Ireland and hoped for the best. A little bit of background on us and sailing - Aleks introduced me to sailing by taking me out on our first boat, an ISO sailing dinghy about 6 years ago and there aren't words to describe how ridiculously fast and unforgiving this boat was. I got a number of dunkings and a crash course in sailing. Aleks has sailed since he was a boy and I have done bits and pieces over the past couple of years ending in my Day Skipper Practical which I did in April of this year. We have kept a regular blog in the run up to and then launch of Tiko including numerous videos which you can find by clicking the videos tab above. Unfortunately our adventure came to an end in early August, but we are working on the next plan of action to carry on sailing next year, to perhaps France or Spain. Until then, please check out the previous blog posts and gallery pictures to see what challenges we faced on this 3 month adventure. Our journey took us from Plymouth, our home port, to Fowey and onto Falmouth before we left for Ireland. From there we worked our way up the East coast and then onto the Isle of Man. 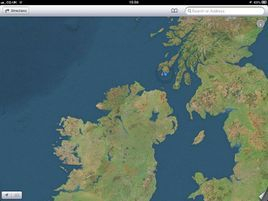 Northern Ireland was next before swiftly moving onto Islay and then across back to Eire hitting Lough Swilly first in Donegal before slowly making our way down the occasionally fierce West coast.